Astonishingly straight forward and exquisite, these exquisite bangles area unit obtainable in 3 completely different sizes for girls. 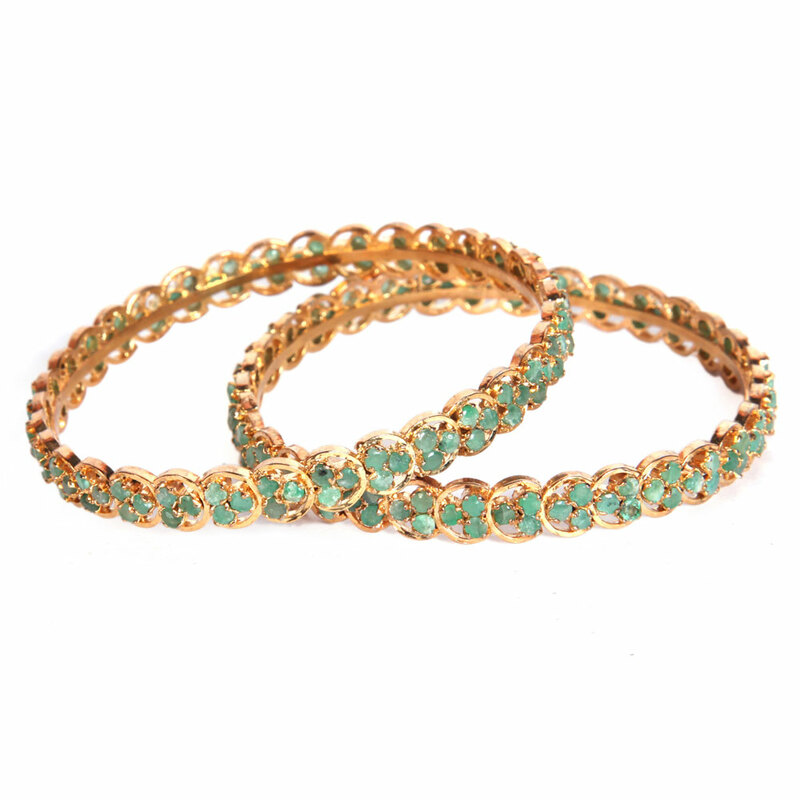 Triangular patterns of the dazzling emerald stones have been set within the micro gold plated brass metal frameworks designed on top of the narrow girth Read More..of the this designer bangle made from the same metal. Astonishingly simple and beautiful, these exquisite bangles are available in three different sizes for women. Show Less..